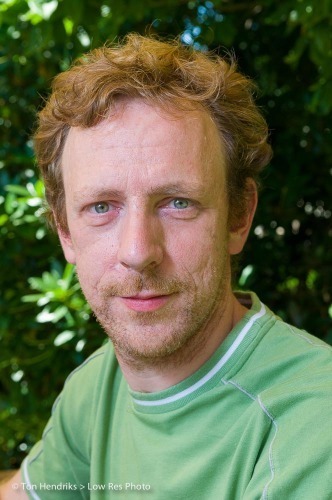 I am Johan Vos, a Java Champion working with Java on the server (Java EE) and Java on the client (JavaFX). I am the lead author of Pro JavaFX 8, co-founder of DataFX, and maintainer of the JavaFX Android port. Between 1999 and now, I only missed one JavaOne edition that overlapped with the birth of my daughter. I have 2 sessions this year: CON1804 about JavaFX Android and CON3640 about DataFX. In CON1804, we will show how to run your JavaFX Applications on Android devices. The target area of JavaFX developers becomes much, much larger now that you can also deploy JavaFX Applications on Android devices. The porting effort is a work in progress, we will show the current status and our roadmap plans. In CON3640, we will talk about how to get real-world enterprise Data in your applications and back to the original source, and how to handle the flow in a complex application. JavaFX provides a powerful UI for developing Java Client applications, and DataFX extends this by adding features required for developing Enterprise Applications that can be used on Desktop, mobile and embedded. I realize people come from all over the world, and spend time and money on the JavaOne conference. They deserve more than just a tutorial. For those interested in Java on mobile devices, I’m doing my best to make it an exciting conference. Make sure you go to JavaOne. It is the biggest Java Community conference. There is a reason why I try to attend every single year. There is so much information, so much discussions, and your head will be filled with ideas by the end of the week. If you’re a Java developer, JavaOne is the place to be. Oh, and we should go back to the Moscone conference center one day. The more people attending JavaOne, the higher the chances we will take the Moscone back.